This is Ben, isn't he delightful? 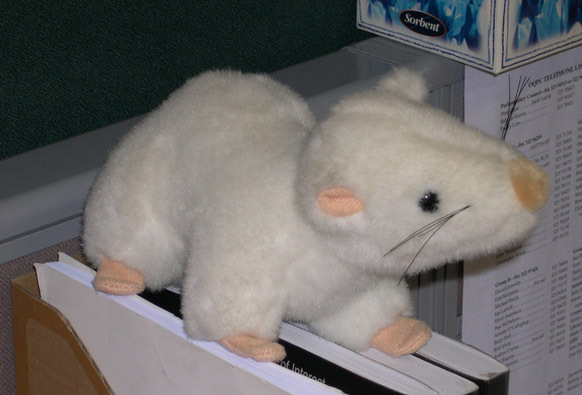 I've been looking for a rat plush for years and I was so happy to find him. 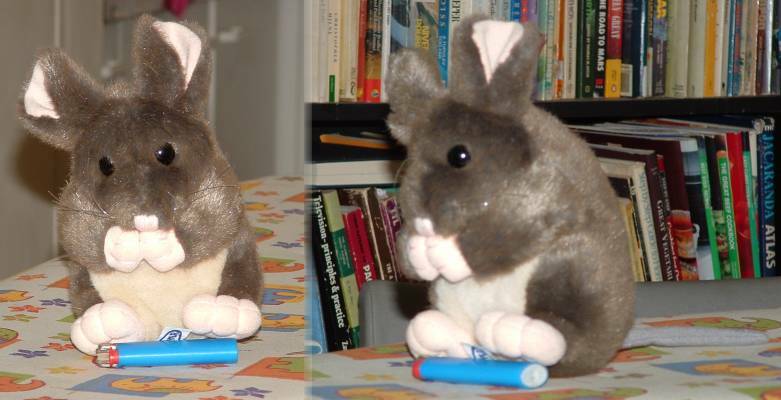 He was a chance find from a plush specialty store called "Talk to the Animals". 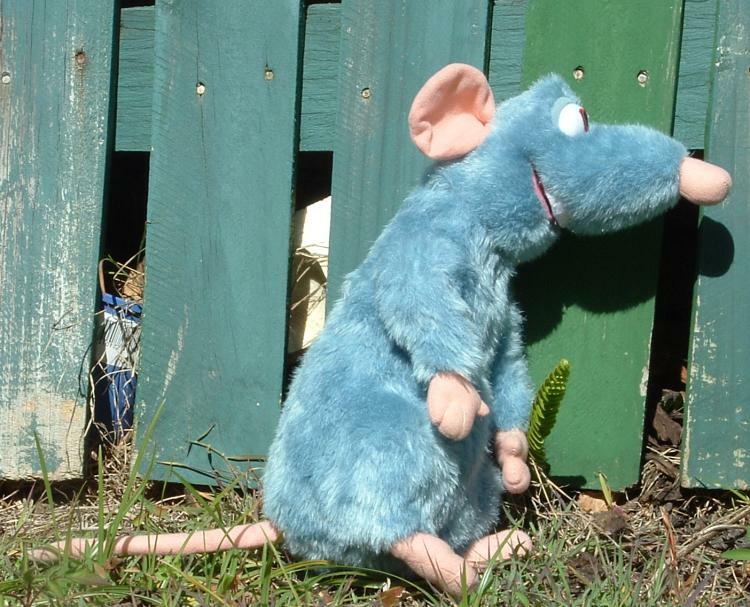 They told me that his name is Ben the Rat and he was a one-off purchase from a small company called Mystique Toys in Western Australia. He was expensive for his size, but I just couldn't leave the store without him! 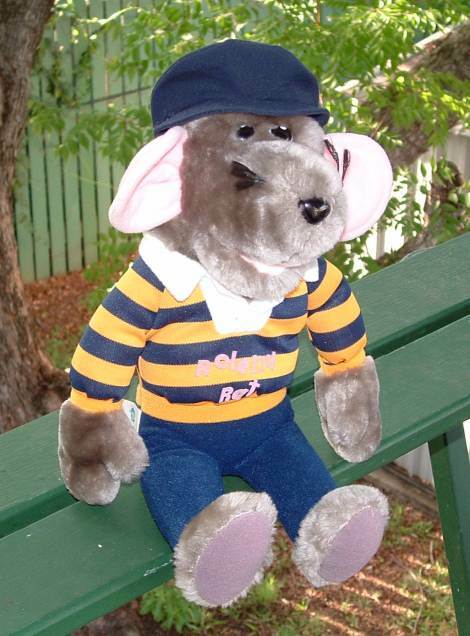 Ratty is a puppet I bought from a plush specialty store in Melbourne. Rats are my favourite animal after (or maybe alongside) kangaroos and there are so few of them, so I'm always pleased to find a new one. Plus, this one looks so gorgeous! 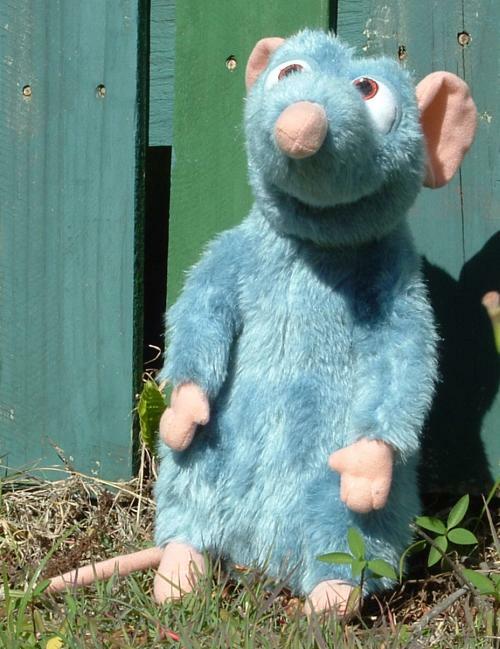 Remy, the star of Ratatouille. To me, a fursuit is like a special kind of plush that you wear and bring to life. It's only natural that I should love one the same way I love plush. 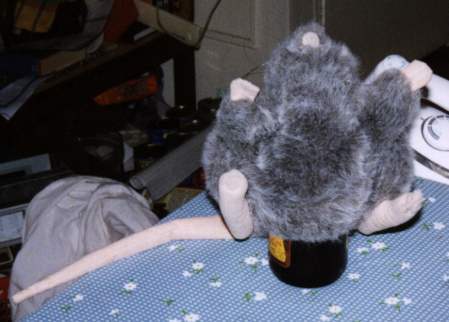 You can find photos of my rat fursuit, created by Rose Quoll, on Flickr and videos are available on YouTube. 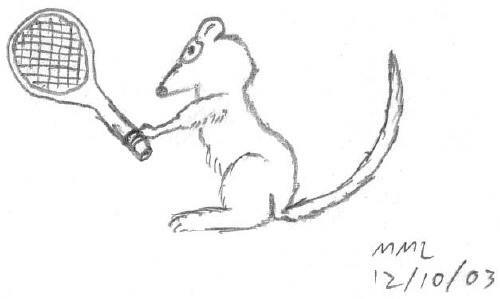 This is a rat (or is it a mouse?) that I drew at Furry Art Club (Rule 1 of Furry Art Club: Do NOT talk about Furry Art Club!). The theme art at that meeting was furries and sport, hence the racquet. I know it's not very good, but I was proud enough of it (it's my first drawing in some years) that I wanted to share it. 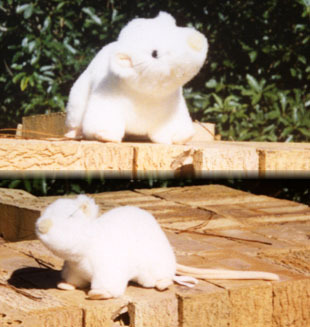 Scabbers, merchandising from the Harry Potter movies. 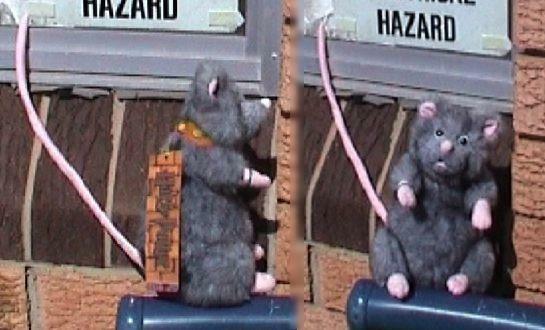 Look here for a brilliant photo of Scabbers the plush getting "power groomed" by a real rat. I hope we don't get sued! 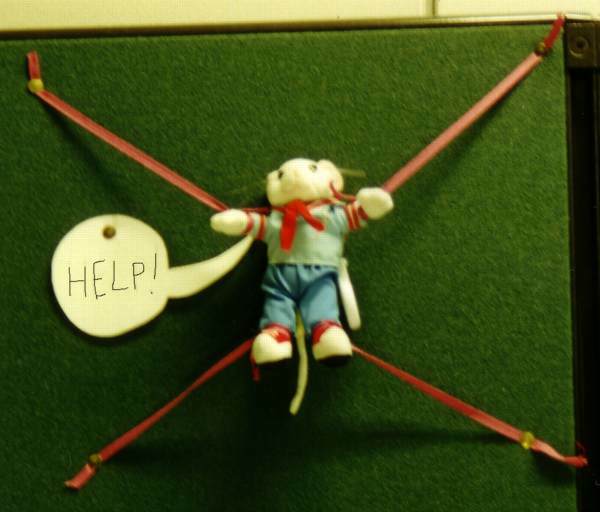 Roland Rat (aka Roland Rat Superstar) was a puppet from the early 80s who was credited with saving a TV station. Considering the bad press rats normally get, I think this is a noteworthy achievement and I respect him a lot for it. This is why I'm so pleased to have brought back a bit of my childhood with this plush. Råtta is my latest plush; a gift from my ex. 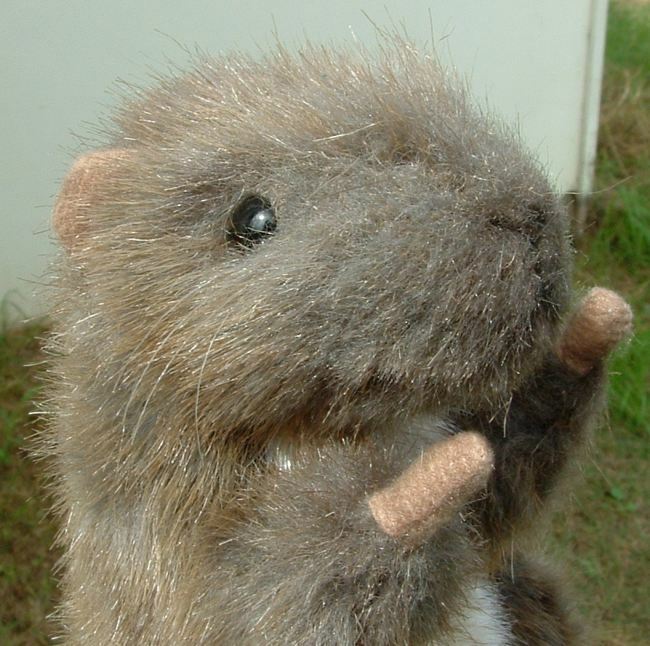 His full name according to the tag is Minnen Råtta (I'm told that's Swedish for Memento Rat). 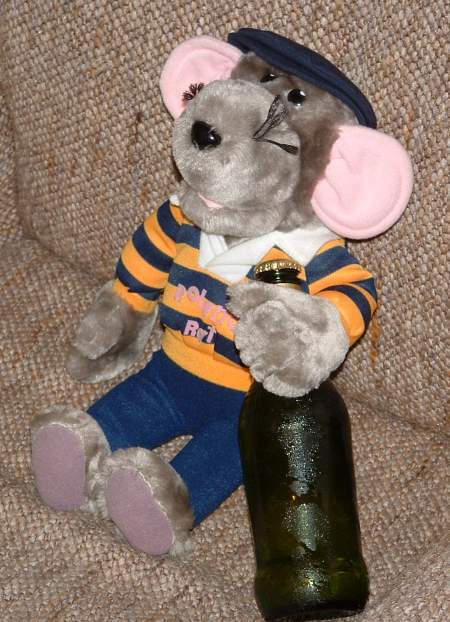 He is a Swedish rat who was found in Ikea. 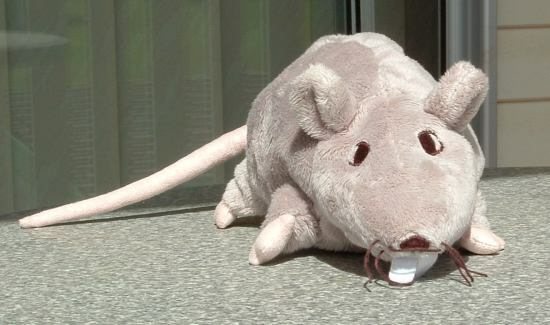 What they are doing selling rat plush is anyone's guess. This is Templeton from Charlotte's Web. I bought him from the FAO Store in New York on the first day the Charlotte's Web series of plush were officially released. He was the last one on the shelf. I spent the rest of the time in the store clutching him tightly. 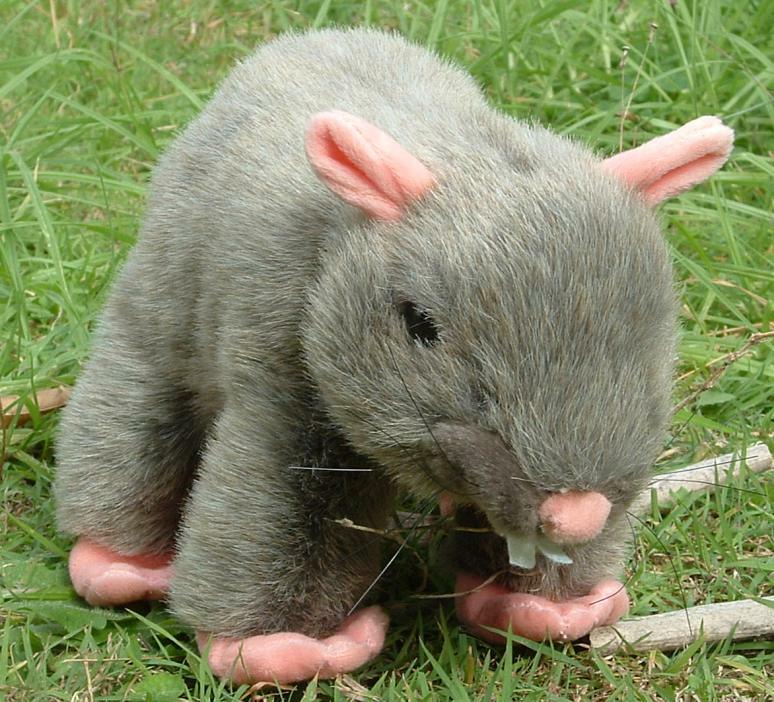 Ratto was an unexpected find in the gift store of Australia Zoo, of all places. 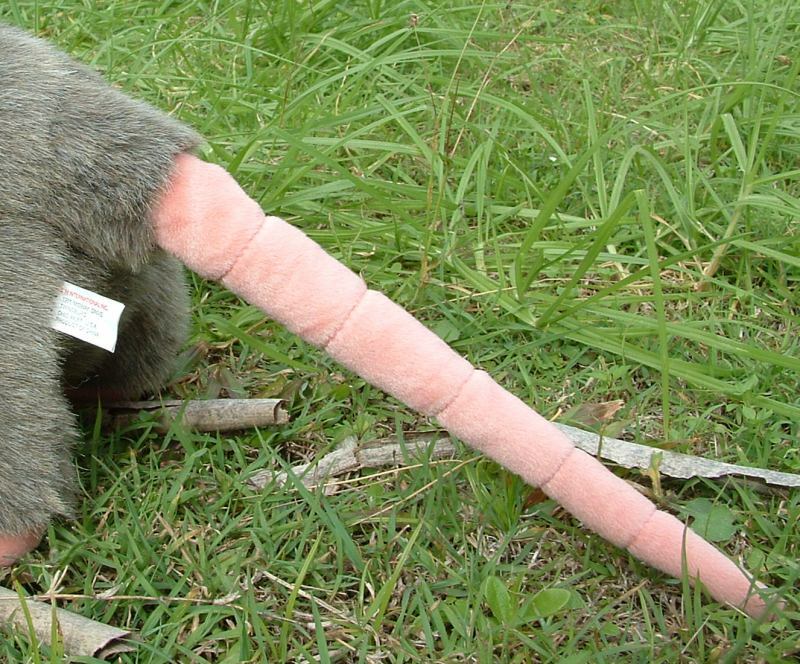 Admittedly, I think his body shape looks more like that of a possum rather than a rat. But he does have a nice tail. This is Mousie! 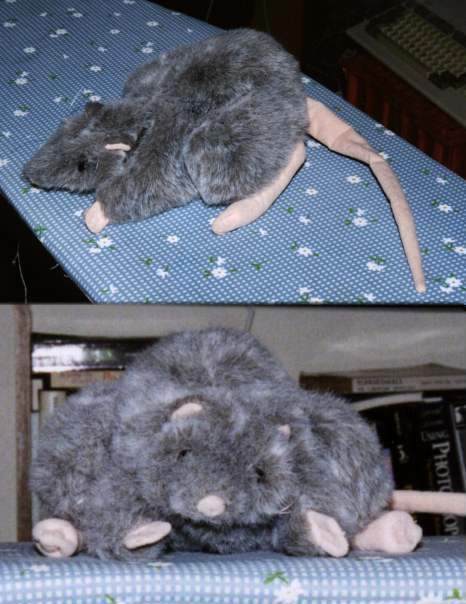 I received this moth-eaten mouse puppet as payment for helping my ex-boyfriend move house. It's been suggested to me that this was intended as a snipe at him, but in fact I was very grateful for it. 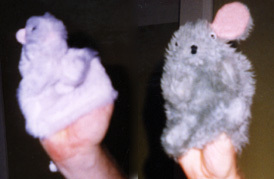 Marty, a Folkmanis mouse puppet. He originally had a vest. Marty went to America with me. He appeared on the Rapid T. Rabbit show, playing me. I wasn't very happy with how I went at the time, but the finished product wasn't too bad. 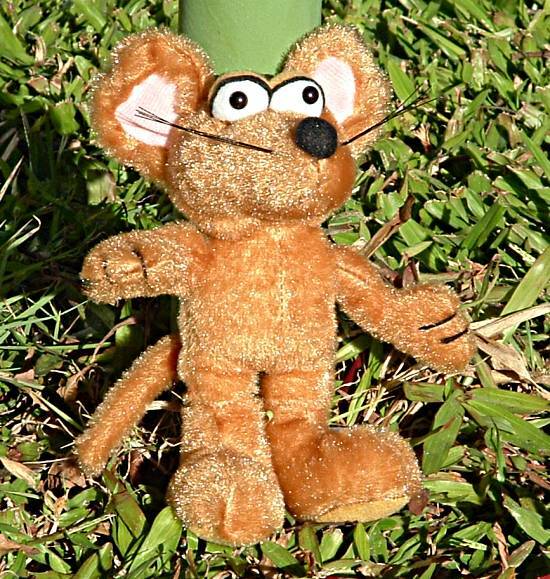 This is Mousey (as distinct from Mousie), a startled looking mouse who was rescued from a claw machine and then given to me. 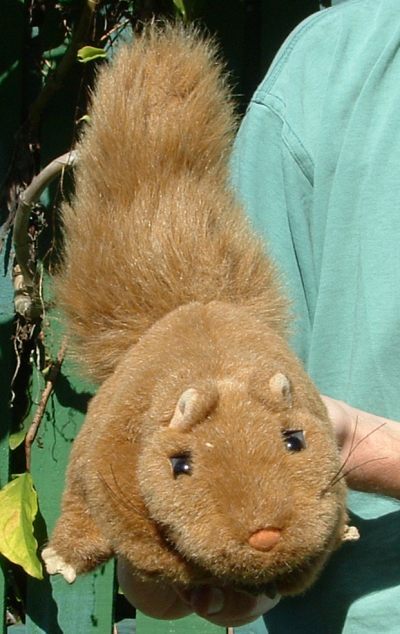 This one is named Crunchy Munchy (I didn't name him). He originally had a plush candy cane in his paws, but as you can imagine with me that disappeared fairly quickly. 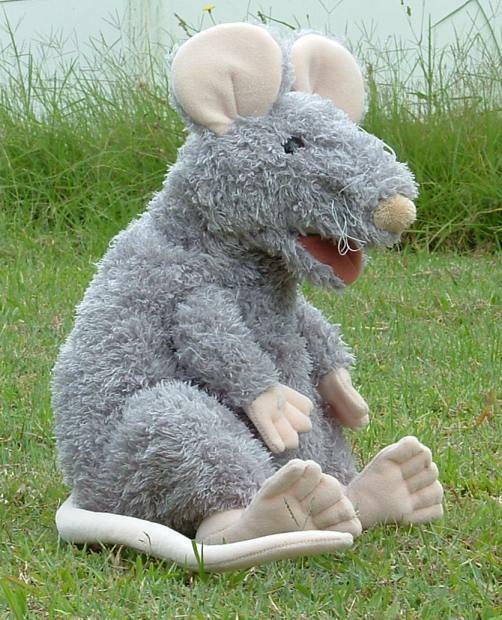 Although I love rummaging through flea markets, I normally don't buy pre-loved plush. But this one was so cute and only 20 cents, I couldn't resist. 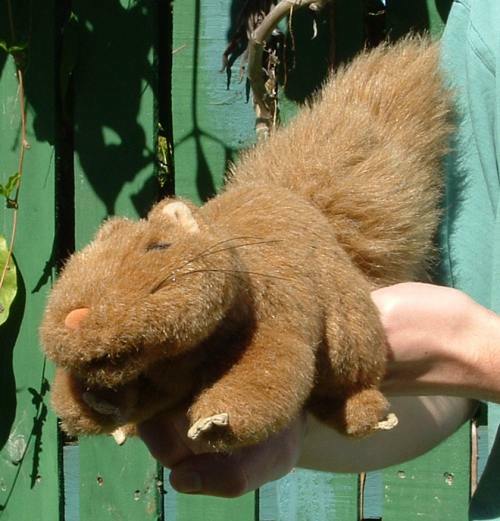 This is Nutty (I never claimed to be good at naming plush), a delightful squirrel I also found in the fleamarket. 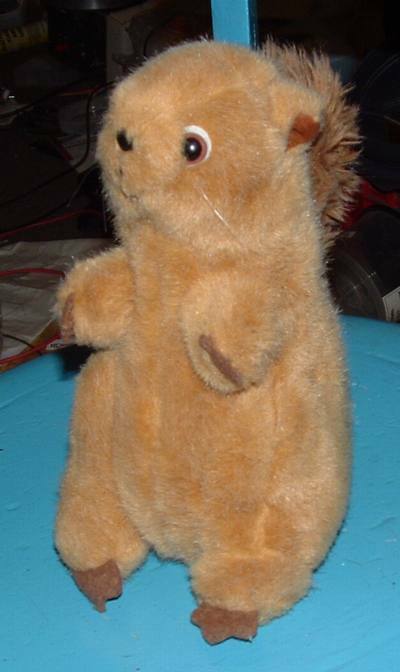 He's one of those appealing plush that have a perpetually startled expression. 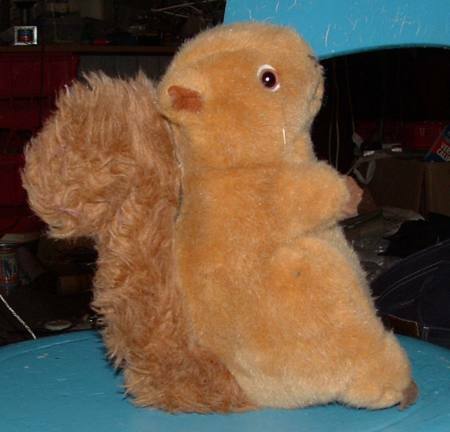 Tails the squirrel, so named because not only does he have an opening for controlling his head and forelegs as you'd expect, but he also has tail hole for controlling his tail.